LG Chem announced Friday it will appoint Shin Hak-cheol, vice chair of 3M, as new vice chairman and CEO of the company. This marks the first time that LG Group has scouted an outside figure to head the chemicals and battery affiliate since its founding in 1947. “With global perspectives and experience, Shin is the right person capable of pre-emptively responding to the rapidly changing business environment while leading the change in corporate culture and structure,” LG Chem said in a statement. There has been a growing need for a sophisticated and systemized global business operating system due to the globalization of the petrochemical business -- the main cash cow of the chemical company -- as well as the rapid expansion of overseas production and marketing of the lithium-ion battery business, the company said. The 61-year-old Shin began as a technical service supervisor with 3M Korea in 1984 and joined 3M Philippines in 1995 to become a managing director of the branch. 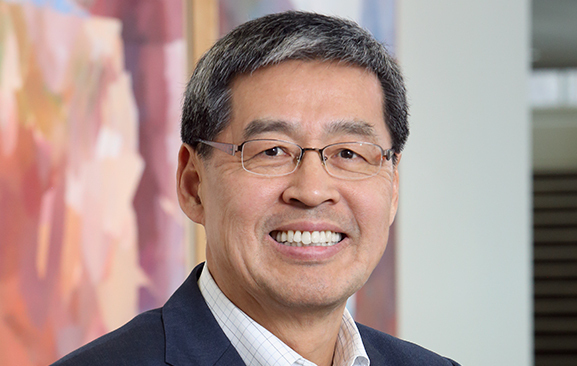 In 2011, he was eventually named as the executive vice president of 3M International Operations and became the first Korean business professional to lead 3M’s overseas business. “Based on his accumulated experience in a world-renowned company, we expect LG Chem to take a further step forward in becoming a global innovative company,” an LG Chem official said. LG Chem’s CEO replacement comes about three weeks before LG Group’s personnel reshuffle slated for the end of November. It was the second major recruitment by LG Group Chairman Koo Kwang-mo who has been seeking meaningful changes across the group since he was sworn into the chief position in June. The first one was made in July when Koo decided to swap the posts of LG Uplus Vice Chairman Kwon Young-soo with LG Corp. Vice Chairman Ha Hyun-hoi. Current LG Chem Vice Chairman and CEO Park Jin-soo will continue serving his post until the company’s shareholders meeting in March.